You are here: Home / Painting / Painting with trucks and cars! 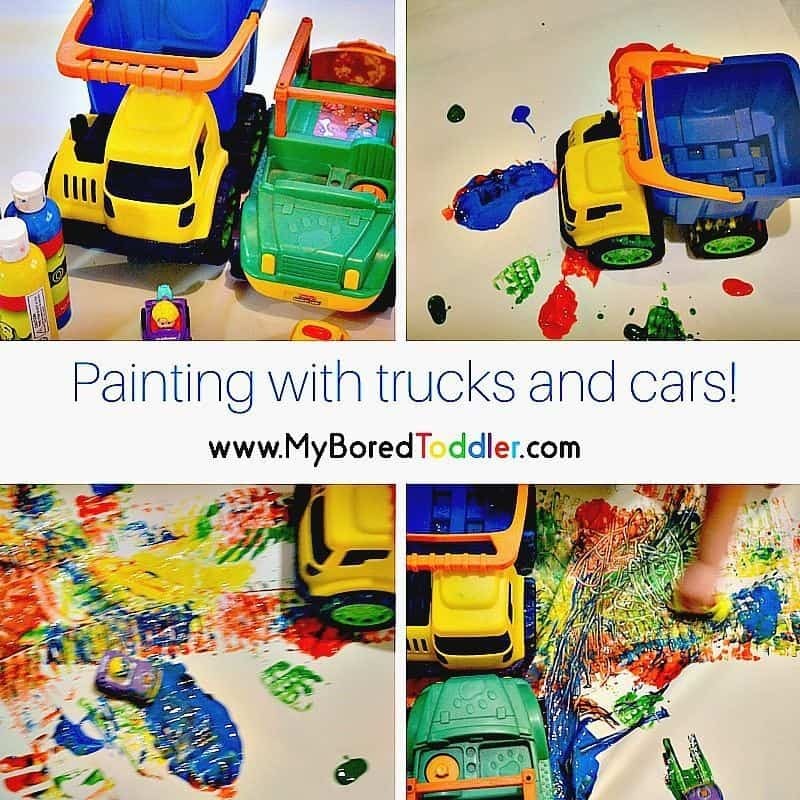 Painting with trucks and cars! Today we are going to be painting with trucks and cars! Before you panic and say ‘no way!’, I promise they’ll have fun and the paint will wash off! As part of our painting challenge (you can sign up here) we’ve already painted with kitchen items and this is just as fun (probably more!). For this toddler painting challenge you’ll need anything with wheels! I raid our toys and you’ll be surprised at what you’ll find. We’ve used matchbox cars, toys from our Fisher & Price Farm, trucks from our sand and beach sets and other random vehicles that we’ve found around the house. If you’re taking part in our painting challenge and don’t have any cars or trucks, be creative and substitute – paint with ponies or dinosaurs (their footprints look great), use blocks as stamps or get out the playdough cookie cutters and stamp them too. 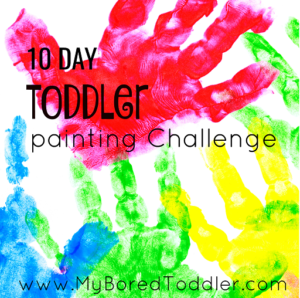 If you would still like to take part in our 10 Day Painting Challenge you can sign up HERE. 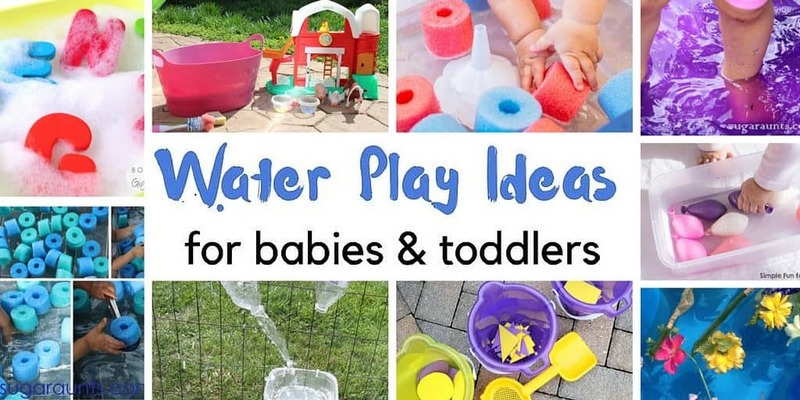 You can find my full list of toddler painting items that I recommend HERE. For this activity I don’t put the paints on plates, instead I place them directly onto the paper. I spread them out and use a variety of colors. Give your child the cars and trucks and let them paint! Children love the effect of this. They love getting messy and they love mixing the colors. I’m yet to meet a child who hasn’t really enjoyed painting with cars and trucks! 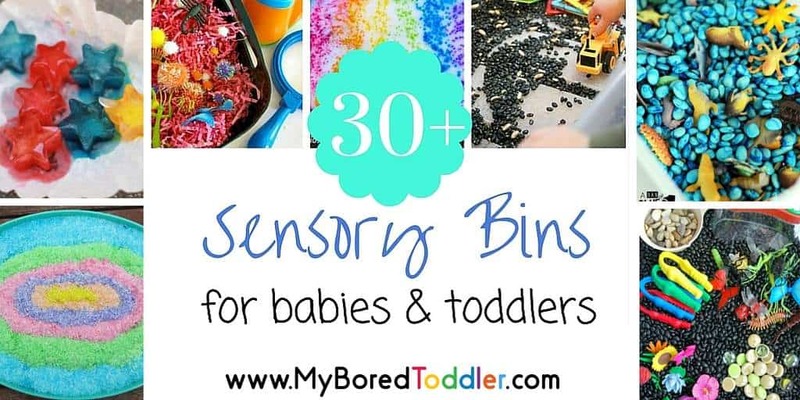 As always I would love for you to share your pictures of this activity in our Facebook Group and on Instagram – use #MyBoredToddler so we can all easily find them and don’t forget that you can follow the hashtag to make it easier. Tomorrow we will be finger painting! You had to know that was going to be coming at some part of the challenge!